When they hear "Happy Birthday to You," children's eyes light up like candles on a cake. It's the same light you see in class as the "Hello Song" starts, as the instruments come out at play-along time, or when mom pops in a Music Together CD on a long car ride. "Happy Birthday" and Music Together also share a history that unites the field of early childhood education and three generations of musical entrepreneurs. "Happy Birthday" began as a variation on "Good Morning to All," a song composed by Kentucky kindergarten teachers Patty and Mildred Hill more than 100 years ago. Patty, who became a distinguished professor of early childhood music education at Columbia Teachers College, taught the so ng and its birthday version to her students, who then spread it around the country. "My family got involved," explains Ken Guilmartin, co-author of the Music Together materials and founder of the Center for Music and Young Children (CMYC), "when my grandfather, John F. Sengstack, an accountant and amateur violinist, bought a small educational music publishing company." When he learned that his new company had published the original song, he informed Patty Hill of the potential royalties from the birthday version. They published and copyrighted the song as "Happy Birthday to You," and set up a foundation for early childhood organizations to receive the sisters' share of the royalties. Years later, after the company had passed to Ken's uncle, David K. Sengstack, it was the "Happy Birthday" royalties that funded a one-man research and development department named Ken Guilmartin. Ken used the funding to start CMYC and begin work on what eventually became Music Together. "I've always thought it fitting," says Ken, "that Music Together can trace its lineage back through 'Happy Birthday' to two early childhood educators. I think the Hill sisters would be pleased, too." At the time that he joined the company, Ken was involved in a variety of projects. He was composing off-Broadway musicals and opera and teaching a variety of subjects to theatre professionals and children. He had studied composition and pedagogy at Manhattan School of Music, and he had earned his Certificate in Dalcroze Eurythmics from the Manhattan Dalcroze Institute. Ken was also the father of a young child, Lauren-now a working professional in the film industry-and he was teaching music at Lauren's school, the parent-owned and operated Montclair (NJ) Cooperative School. As both a parent and faculty member, Ken was learning first-hand the benefits of parent involvement in education. So was his uncle, who had re-named the company Birch Tree Group and started publishing the Shinichi Suzuki materials. "Suzuki showed just how far young children could go with music, especially when parents are involved," says Sengstack, now president of the Early Childhood Communications Center, but I was convinced that there was another way to use music to enhance early childhood development." Ken recalls, "My uncle's vision was to include music in every child's earliest development. He got me excited about this possibility and also gave me the opportunity to make that dream a reality." So Ken added "associate editor" to his other occupations and began to explore the work of experts in both music education and early childhood. 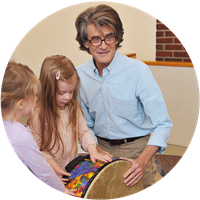 Inspired particularly by Howard Gardner's theory of multiple intelligences, Lilian Katz's research on children's acquisition of "dispositions" or life habits, and the music learning theory of Edwin Gordon, Ken founded the Center for Music and Young Children in 1985. The goal: to create a parent - child music and movement experience where children a) learned through playful, developmentally appropriate activities, and b) were supported by materials for home use and extensive parent education. While attendin g a seminar with Edwin Gordon in 1986, Ken met Lili Levinowitz, one of Gordon's Ph.D. students at Temple University. Her innovative research focused on tonal and rhythm development in young children. Lili, now a professor of music education at Rowan University and director of research at CMYC, recalls, "About a year into my association with Ken, I gave birth to my son, Eli. My whole training with Gordon had been focused on how important it was in teaching music to consider how a child learns, rather than saying, this is how he should be taught. With Eli's birth I realized how important it was for me to be my son's primary musical influence, and I was eager to put my training into practice." Ken hired Lili to consult on his experiments at the Co-op School, and soon they began the collaboration that culminated in the creation of the Music Together materials and classroom techniques, first offered to the public in the fall of 1987. 1989 brought dramatic changes. Warner Brothers bought Birch Tree, and CMYC and the fledgling Music Together program were on their own as the Music and Movement Center of Princeton. Ken the composer-turned-editor now added entrepreneur to his job description as he wrestled with the classic issues of a start-up operation: urgent needs and meagre resources. "I discovered that creating a business has a lot in common with putting a show together, that I'd been an entrepreneur all along," he says. In the years that have followed those first classes, Music Together has grown to a nationally-taught, nationally-acclaimed program that has reached thousands of families in the US and many foreign countries. Preschools and childcare centers everywhere have integrated Music Together songs and activities into their programs. Ken and Lili continue to train potential Music Together teachers, early childhood educators, parents, performers, and interested laypeople in seminars held in all corners of the USA. Happy Birthday To You, Music Together! Reprinted with Permission by Music Together LLC. Kenneth K. Guilmartin conceived and led the development of the innovative Music Together program for the Center for Music and Young Children, which he founded in 1985. He has composed numerous scores for off-Broadway and regional theatre productions and is a popular presenter of early childhood and music education conferences. He has created music programs and conducted teacher training for numerous early childhood centers nationwide. A graduate of Swarthmore College, he studied composition and pedagogy at Manhattan School of Music and is certified in Dalcroze Eurhythmics by the Manhattan Dalcroze Institute. Lili M. Levinowitz, Ph.D., is a Professor of Music Education at Rowan University of New Jersey (formerly Glassboro State College). 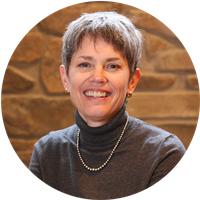 She is a national authority on early childhood music and is actively involved in teaching very young children as well as graduate students. Her articles appear frequently in both professional journals and popular magazines. She received her Ph.D. from Temple University where she was director of the Children's Music Development Program. Copyright ©1996 Music Together LLC. Originally published in the Music Together Fall'97/Winter '98 Newsletter. Reprinted with permission.